Very clean set, nice chrome, the silver sparkle is is in good condition, seams are pretty tight. The BD 14 x 20 has the double tommount. The TT 8 x 12, FT 16 x 16 and SD 5 x 14 have new tensionrods, everything works smooth. 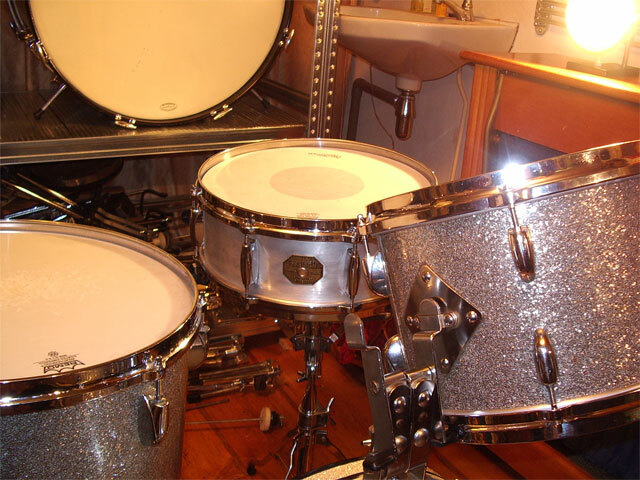 Snaredrum is the 4108 aluminum model. 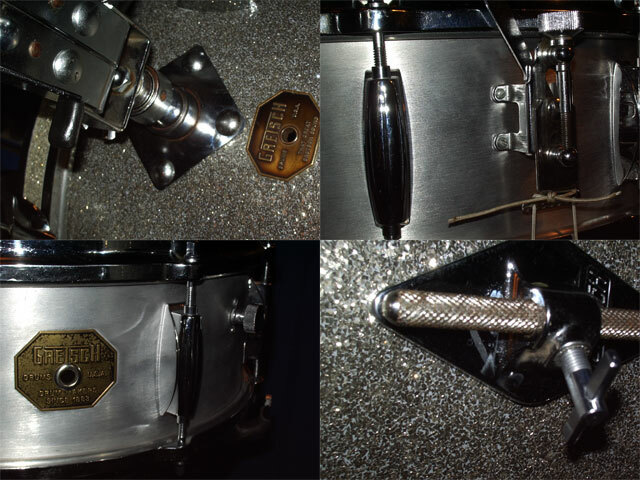 All Remo Ambassadors heads, almost new. 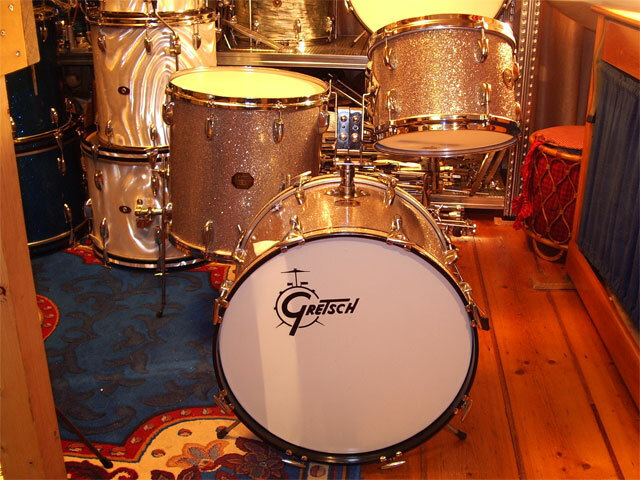 No surprises and That Great Gretsch Sound.